Local Produce Live: Cat Head Biscuit Boys "Creole Tomato"
KRVS Local Produce Live at Cypress Lake Studios featuring the Cat Head Biscuit Boys "Creole Tomato"
written by David Egan and performed by Bruce MacDonald, guitar, vocals; Ben Shank, fiddle, vocals; Eric Moody, bass; Jim Kolacek, drums;Roger Kash, mandolin, vocals. Producer, Johanna Divine; Director, Virgile Beddok; Editing & color correction, Quinn Acosta & Will Artall; 1st AD/ D.I.T Margo Kieff; Cinematography, Cameron Haddad; Camera Operators, Alexis Gajan, Hannah McGee; Gaffer, Robert Lenahan. Special thanks to KRVS staff & crew.Sponsored by Lafayette Farmers and Artisans Market at Moncus Park © 2018 KRVS Public Media. 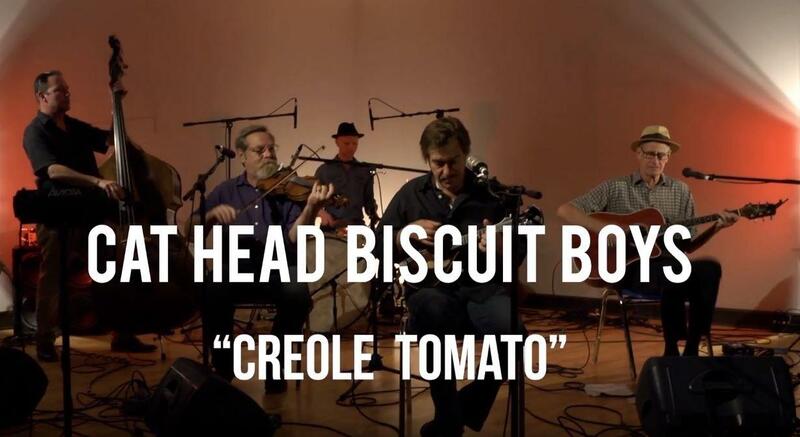 Local Produce Live: Beausoleil "Carencro"